Animal Wildlife | Frilled Lizard | The frilled lizard is a large species of lizard natively found in the jungles of Australia and its surrounding islands. The frilled lizard is known by a number of names including the frill-necked lizard and the frilled dragon. 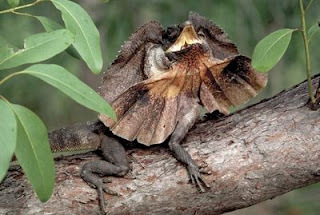 The frilled lizard is an arboreal animal meaning that it spends the majority of its life in the trees. Frilled lizards can be found in humid climates such as tropical jungles and forests, across Australia and Papua New Guinea. The frilled lizard is named after the large fold of skin that usually lies folded up against the frilled lizard's head and neck. When the frilled lizard feels threatened, the fold of skin fans out around the frilled lizard's head in order to make the frilled lizard appear larger and more intimidating than it is. 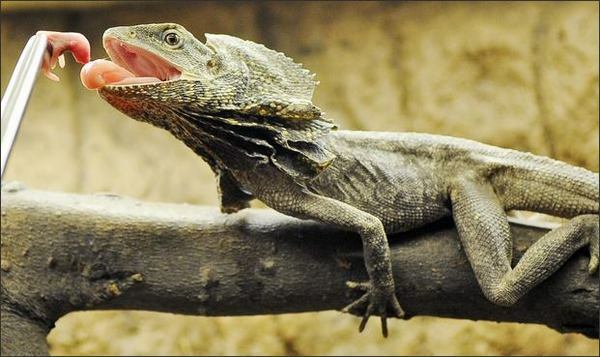 The frilled lizard is fairly large species of lizard that can grow to nearly a meter in length. 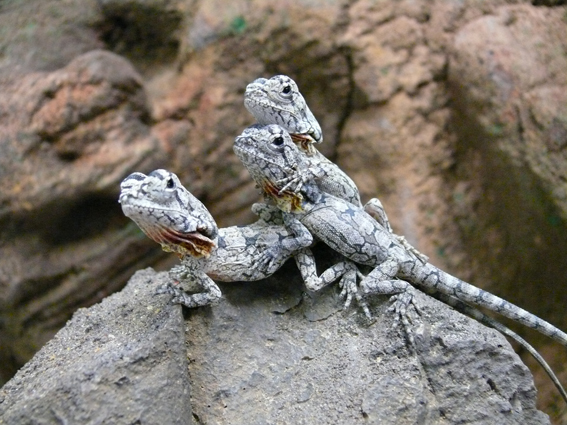 The long tail and sharp claws of the frilled lizard help the frilled lizard when it is climbing around in the trees. 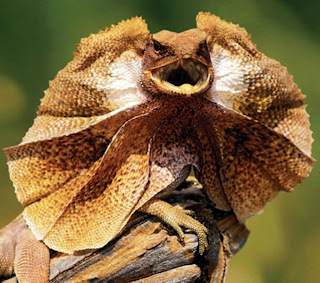 Like many other species of lizard, the frilled lizard is an omnivorous animal and the frilled lizard will therefore eat almost anything it can find. Despite this though, the frilled lizard will eat meat whenever possible as it hunts a variety of insects, spiders, rodents and small reptiles. 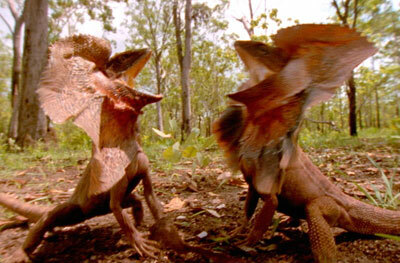 Due to its relatively large size, the frilled lizard has only a handful of predators within its natural environment. Large snakes are the most common predators of the frilled lizard along with owls, dingos, foxes and birds of prey that tend to hunt the smaller and young frilled lizard individuals. 0 Response to "Frilled Lizard"